Go inside the elite investment firm with Capital. The Capital Group is one of the world’s largest investment management organizations, but little is known about it because the company has shunned any type of publicity. 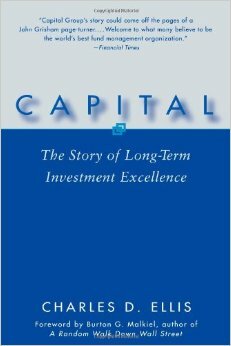 This compelling book, for the first time, takes you inside one of the most elite and private investment firms out there?the Capital Group Companies?a value investment firm par excellence. It digs deeps to reveal the corporate culture and long-term investment strategies that have made Capital the one organization where most investment professionals would like to work and would most recommend as long-term investment managers for their family and friends. This entry was posted in Books and tagged the capital group. Bookmark the permalink.